One of the biggest annual festivals celebrated in a common place in Nagaland is the Hornbill Festival. 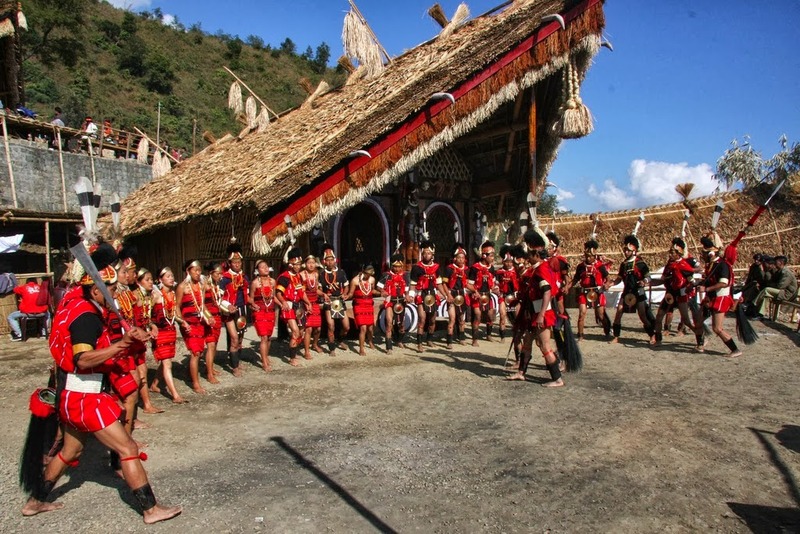 This festival is held generally at Naga Heritage Village, Kisama, which is about 12 km from Kohima, the state capital of Nagaland. This festival is a cultural extravaganza and showcase of arts and culture of the state, where all the tribes take part under one roof in Nagaland. This gala festival is organized by the Departments of State Tourism and Art & Culture of Nagaland. The Hornbill festival usually takes place in the first week of December every year in Kohima. Popularizing and protecting the rich cultural heritage of Nagaland, the Hornbill Festival has turned to be a unique platform for unity, love and peace. During the festival time, every visitor can enjoy the living in Nagaland, taste their traditional food, entertain with the songs and dances of Nagaland and get acquaintance with the customs and traditions of Nagaland. This mega festival is named after the wild bird ‘Hornbill’ which is said as a folkloric display in most of the tribes in Nagaland. This festival is full of joy and it is truly colourful. The traditional arts and crafts, games and sports, food, ceremonies, etc are exhibited during the festival. To sum up we can conclude that the Hornbill Festival is the highlight of culture and traditions of Nagaland.